Attended a hotel conference in March and was surprised to find out the hotel is 4 star. I presumed it was 5. Exceptional service throughout the stay. Breakfast was good, especially on the terrace. Ocean view room was spacious. Didn’t have time to try the pool but it looked superb. In season they also have a large lagoon pool. Bar prices are high but that’s Monaco for you. Thank you very much for your stay and for having taken the time to share your impressions. We are pleased to read that you enjoyed the hotel facilities and that your business experience met your expectations. We do hope you will take time to come at leisure. The lagoon and the sea access open in May ! 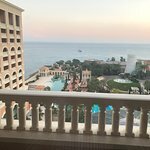 We are looking forward to welcome you again at the Monte Carlo Bay Hotel & Resort. The price you found is 12% lower than this hotel's average rate of $452/night. The price you found is 35% lower than this hotel's average rate of $327/night. We stay here for the weekend for an event organised by Monster Energy. 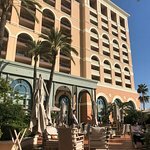 The location is fabulous, right on the bay and ifs far enough away from the centre of Monte Carlo to get a good nights sleep. The grounds are massive and beautifully maintained and the rooms and stylish and well furnished. Our balcony room had a lovely view across the bay and of the mountainside. The hotel is very chic and the service is impeccable, particularly concierge who fall over themselves to assist. We ate in the Salon Creole and the food was buffet style so not really to our taste, but was excellent quality. Breakfast was equally good. Room tip: City view room are much more interesting than sea views. Ask for a room at the side so you get the best of both. Thank you very much for your stay during the Monster Event and for having taken the time to share your impressions. We are pleased to read that you enjoyed the hotel facilities and that your experience & culinary tasting met your expectations. Be assured that we will pass your comment to our Teams. Having stayed 4 days in this lovely Sea side and perfectly maintained four star resort, I can assure that the overall experience is beyond expectations and definitely five-star worth. Very spacious accommodation, tastefully furnished I am very conveniently equipped in all aspects, comes with a loggia overlooking the XXL sand bottom swimming pool and the sea. A warm welcome and a very friendly staff. A highly visible and engaged GM, which is not so common in at 300+ rooms resort. Great food and great event space. What more can you ask for? Definitely worth the visit and for sure will visit again. We are pleased to read that you enjoyed the hotel facilities and that your experience met your expectations. Be assured that we will pass your comment to our Teams. Thank you for highlighting them. 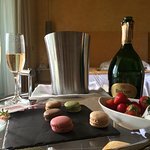 Thank you very much for selecting our hotel during your Honeymoon trip and for having taken the time to share your impressions, even one year later. 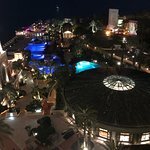 We are looking forward to welcome you soon to celebrate the second Wedding Anniversary to the Monte Carlo Bay Hotel & Resort !! 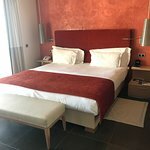 Just had a very pleasant 3 night stay here, we loved the relaxed vibe of the place, the rooms are spotless with everything you need including an ironing board(!). The staff on the whole were friendly and welcoming. We made good use of the pool and sunbathing area in the surprisingly warm February weather. We did not eat in the hotel restaurants for dinner as we prefer to go out and sample the local fayre, which I have to say were also excellent. The breakfast spread was very good indeed with food to cover all tastes. 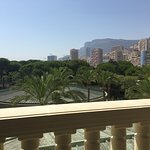 The hotel is a good 15 minute leisurely stroll down to the Casino Square but it is a lovely walk along the promenade, so do not let this put you off. 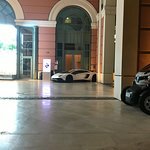 We got the bus from Nice Airport to Monte Carlo for 22€ per person, the hotel stopped right outside the hotel which was super handy. I think the only thing we were not so keen on was the bar in the hotel, it was too much like sitting in a nightclub, with dark walls, little lighting and obtrusive music, however the cocktails did make up for it. We struggled to find an area in the hotel that wasn't outside where you could for example just sit quietly with a drink and read a book. But on the whole, this is a great resort and a lovely lovely part of the world for a short break. We are pleased to read that you enjoyed the hotel facilities and surroundings. 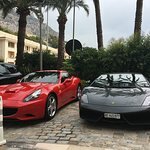 We did well notice your remark concerning the bar.It’s true that this is one of famous place to be in Monaco and the Blue Gin bar is also called the Water Front of Monaco. To stay in quieter place, we suggest the terrace of L’Orange Verte where you can sit in comfortable lounges. We thank you for your constructive feedback. We are looking forward to welcome you again in a near future. Exceptionally great hotel with wonderful views. It’s hard to think there could be a place better. Maybe there would be a different place only. The rooms are super clean and comfortable. The view from the patios is awesome. There is lots of good food at different restaurants in the hotel. The hotel is close walking distance to anything. If you don’t want to walk, they have a free shuttle. 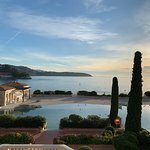 Even though many things are closed in February in Monaco, there is plenty to do, and the concierge can point it all out. I was truly impressed with the quality for the price. All of the people at the hotel are extremely helpful and nice. We are pleased to read that you enjoyed the hotel facilities and that your experience met your expectations. We thank you also for your so enthusiastic comment.